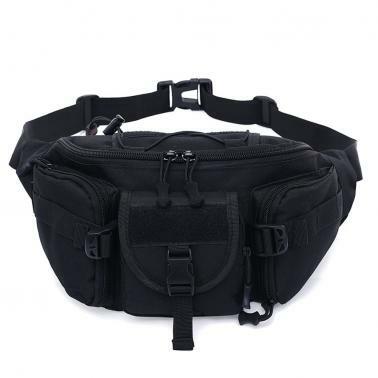 This waist bag is practical and multi-functional. 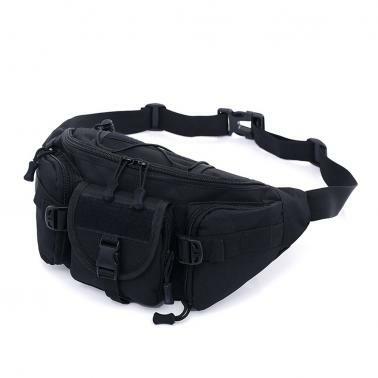 Made of water resistant Oxford fabric, the bag can works as waist pouch or shoulder bag. Water resistant Oxford fabric and quality ABS buckle. Small and compact, you can carry it anywhere with ease. Five different size pockets fully meet your basic outdoor needs. 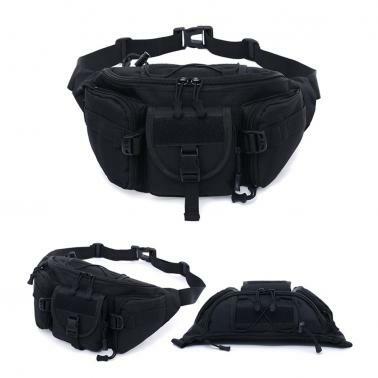 With adjustable shoulder strap, the bag can be used as waist pack, single shoulder bag. A fastener tape area in front is perfect to add the kettle set, accessory bag, vice package according to your need. 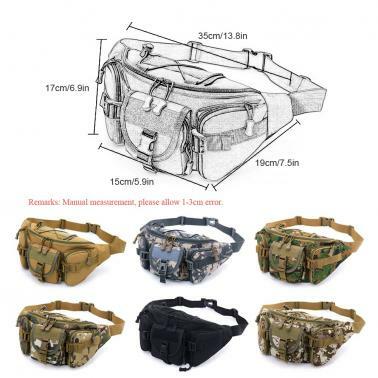 Perfect for jogging, walking, cycling, hiking, camping, travel, mountain, trekking, outdoor sports, holidays.